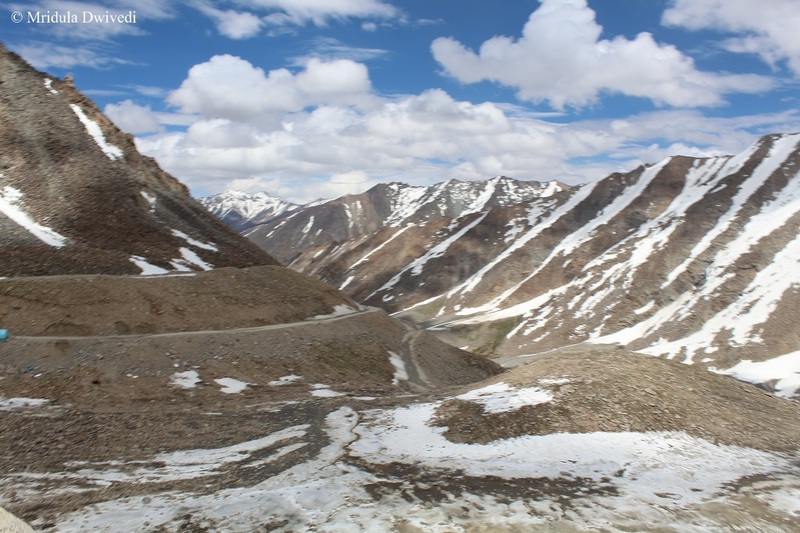 This was my first third trip to Ladakh but my first to Khardungla. 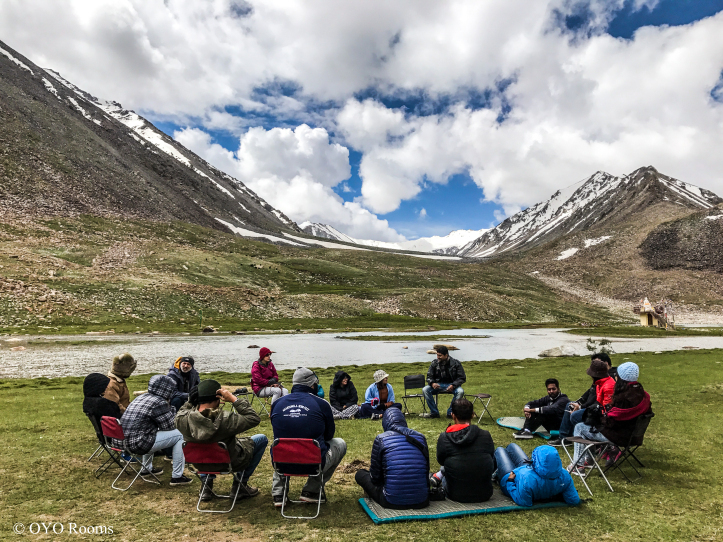 I have a special connection with Ladakh. The first blog post ever I wrote was about my forthcoming trip to Ladakh, in 2005. 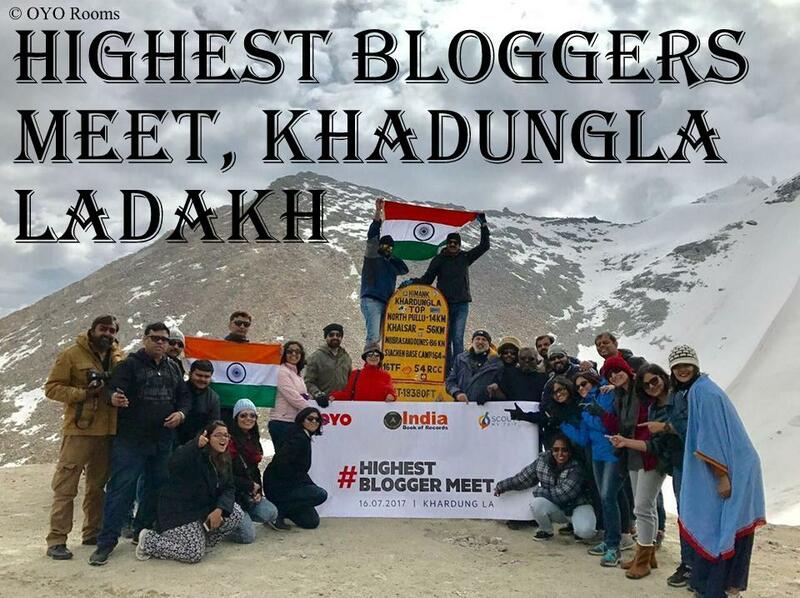 Twelve years later, I was invited to be a part of the Highest Blogger Meet at Khardungla organized by Scout My Trip and OYO Rooms. I was elated. The whole event involved traveling for 12 days by road. Due to many personal constraints I could only join in for the Highest Blogger Meet. I flew into Leh, attended the meet at Khardungla and flew out. It was a pity but I was happy that I could pitch in at all. So what is the height of Khardungla? The boards at the place itself point it out to be 18380 feet (5602 meter). 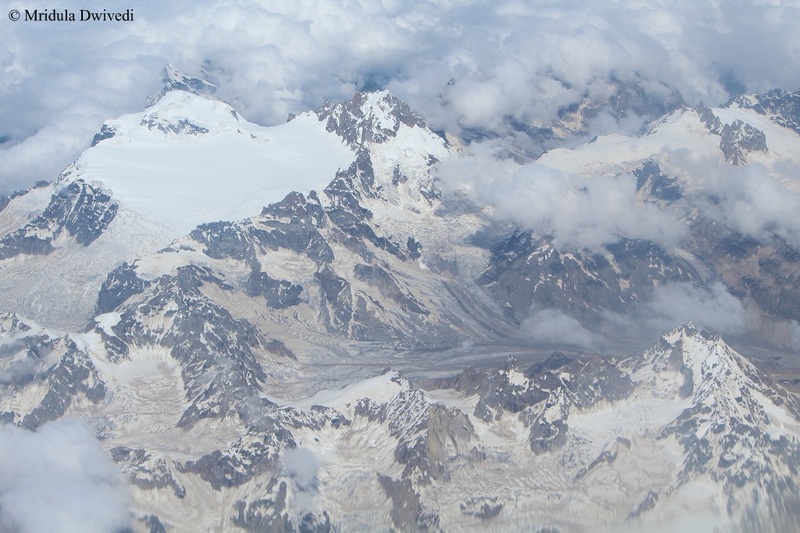 However there is another view, according to which the height is 17,582 feet (5359 meters). India Book of Records where our meet is now recorded also notes the height as the lower one. Either way we look at it, the meet was special. But first a word about Leh. 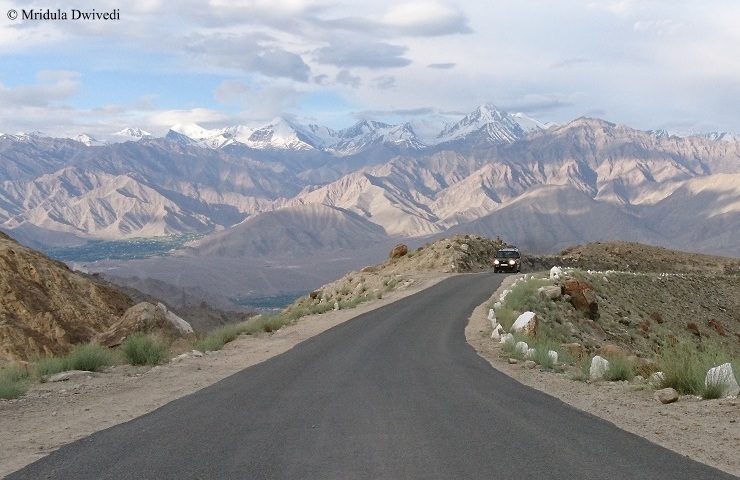 Leh in Ladakh is at the height of 11,562 feet (3,524 meters). Like me, if you fly from Delhi to Leh you are climbing from 708 feet (216 meters) to 11,000 feet! It is a guaranteed that your body will get tortured. I arrived in the thin air of Leh one sunny afternoon. This was my second experience of flying into Leh. The last time when I landed it was winter too! I liked the sunny weather much more than the cold of January. But I digress. I checked into OYO Rooms on Karzoo Road in Leh. I took it really easy on the first day. There is no other way to deal with the altitude. The next day was dedicated to local sightseeing in Leh. But that is the matter of another post. Then the big day arrived. We had an early start. 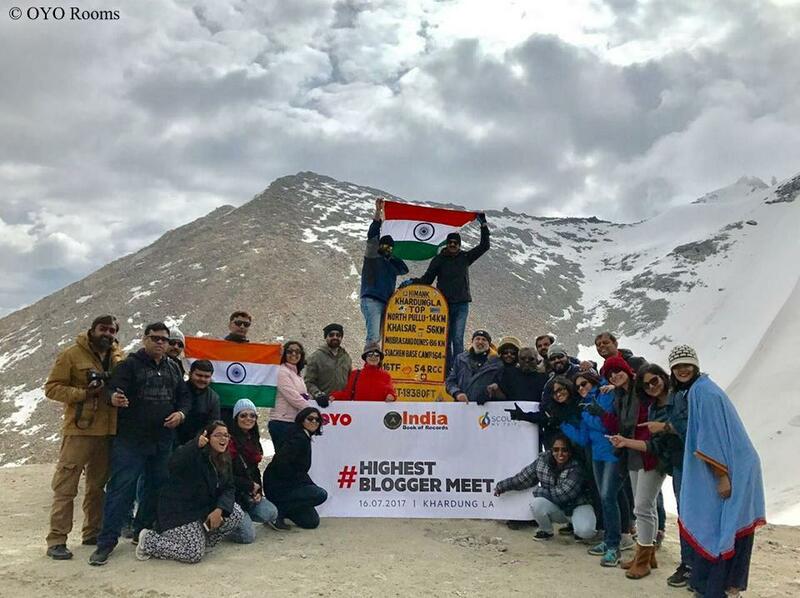 I was excited about visiting Khardungla and being part of the #HighestBloggerMeet but a part of me was petrified about rapidly going from 11,000 feet to 17,000 plus feet. But mountains have always been kind to me when it comes to altitude. Where I am not lucky is the motion sickness. I have it on the mountain roads and I survive them with Avomine. But I arrived at Khardungla fine and in good spirits. My immediate task was to walk around and then climb a bit among the flags! National flag came out in our group and I too held it briefly. Then it was time for the people from Scout My Trip to talk about the highest blogger meet. OYO Rooms announced the launch of OYONAUTS. Do check it out. The video gives a good sense of the trip that it was. We then went down to 15,000 feet to huddle at the Tsolding Buddha Park. We had the whole park to us other than the yaks, who considered it their own property. We had a long and frank discussion on blogging and our love of travel. It was not easy to sit in the cold and thin air! Maggi was savored by all! Even though many of us were feeling under the weather, we finally had to be dragged away from the venue. The return journey was tougher for me probably because I was tired. I was feeling a bit of altitude and motion sickness. It does not make for a good combination. But after a good shower at the hotel, I shook off the tiredness and remained cheerful for the rest of my short stay at Leh. While I was flying back from Leh the next day, the caravan had moved on to Nubra Valley.